I love the Blues. I love the feel, the sound and the raw emotion. 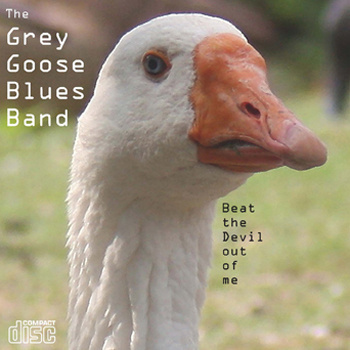 I also love playing the Blues, and last year I played with the Grey Goose Blues Band. It was immense fun and I was very sorry to have to knock my participation on the head. However, I still try to keep up with their latest movements. They played at the Chuckery Festival in Walsall Arboretum, and they’ve played a couple of gigs at the White Lion that I’ve been able to get to. Today, I discovered they’re on Bandcamp, advertising their 2012 album “Beat the Devil out of me” which you can buy and download. Go and have a listen on the site. There’s some magic in that music. You are currently browsing the archives for the Other People’s Music category.